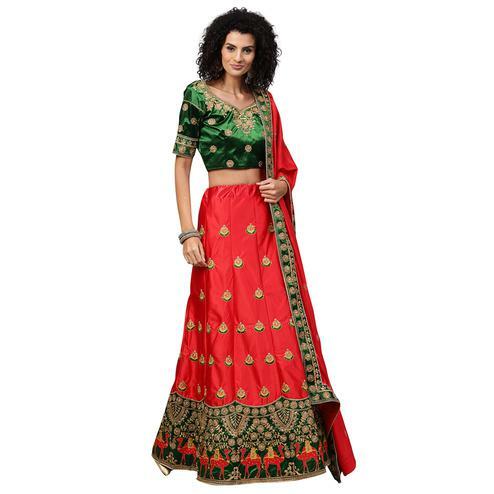 Peachmode has a magnificent variety of lehengas online that are gorgeous in every possible way. 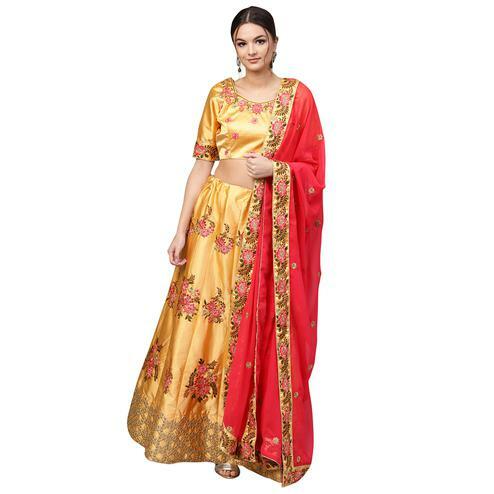 Of the many lehengas that we offer, satin lehengas are sheer elegance. 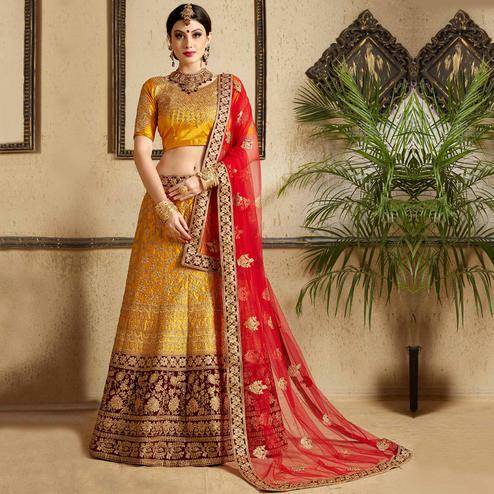 Available as wedding lehengas , bridal lehengas and regular lehengas for festivities and other traditionally and contemporary styled lehengas, we have all the latest lehenga trends for you. 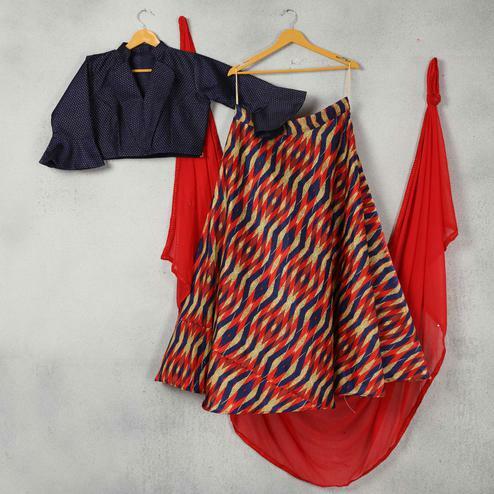 Satin is a glossy fabric that is conventionally made of silk. Satin is flexible and has a very smooth and luxurious feel to it. 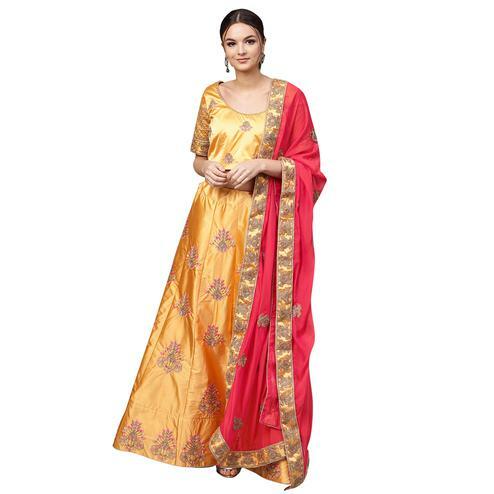 At times, satin fabric is also woven from polyester or cotton. 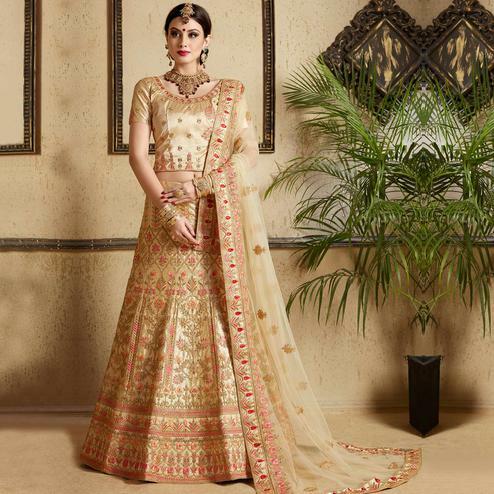 Satin lehengas exude a very polished vibe inherited straight from some ancient royalty. They give you a very poised and impressively magnificent aura. 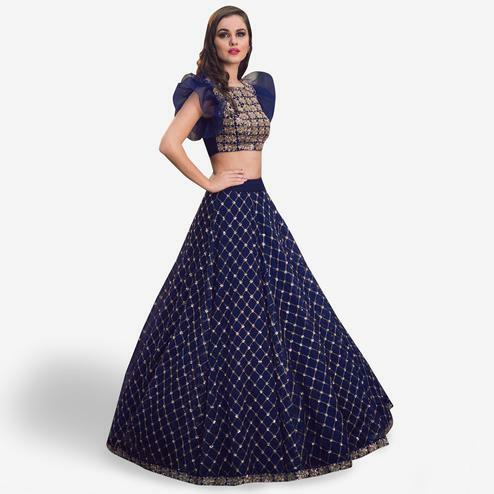 Adorn one of these and look like an imperial beauty! 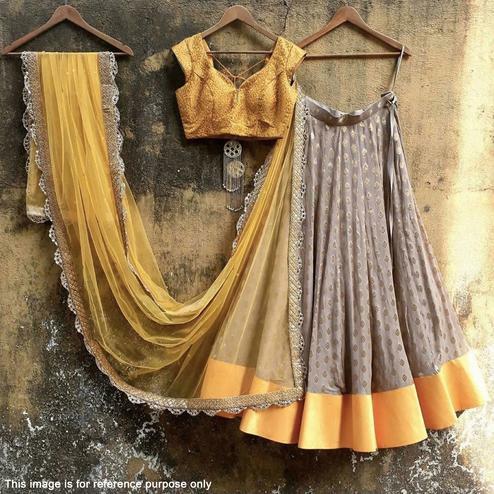 The satin lehenga designs at Peachmode are trendy with all the necessary hints of tradition beautifully blended in them. 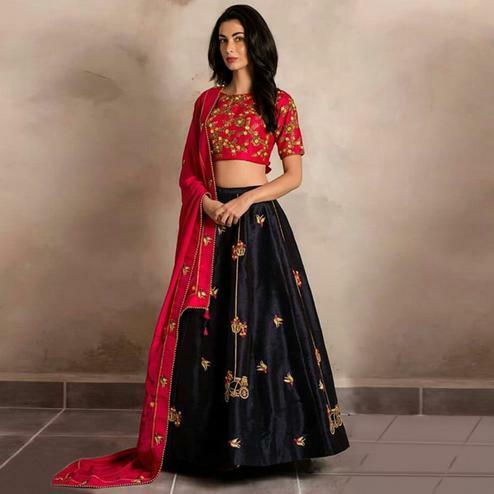 Banarasi motif, zari work, lace work, abstract print, hand embroidery, resham work, butta work, zig zag pattern, stripes, flare pattern, floral print, stone work, shibori print are some of the numerous beautiful satin lehenga choices that we offer. 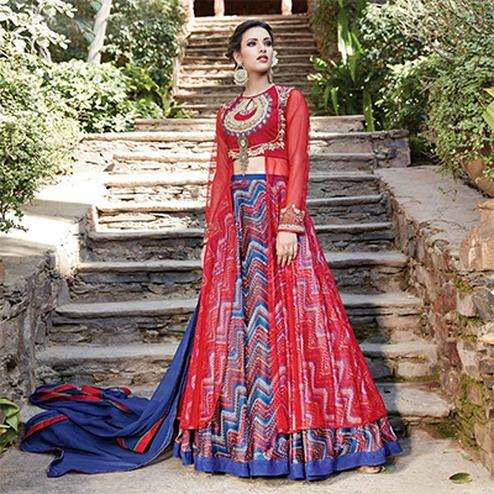 These lehengas are styled as lehenga choli, gown or lehenga kameez style- you can pick your comfort style. 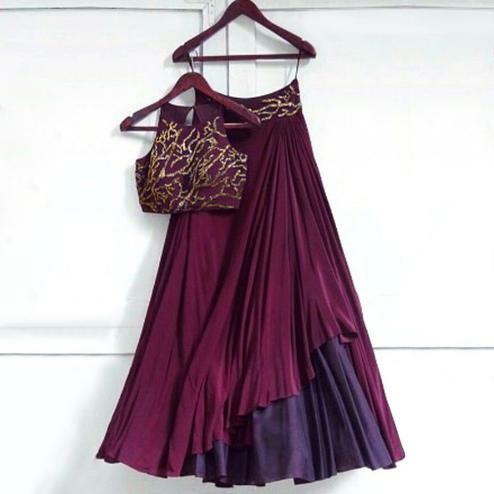 We also have a wide variety of satin silk lehengas. 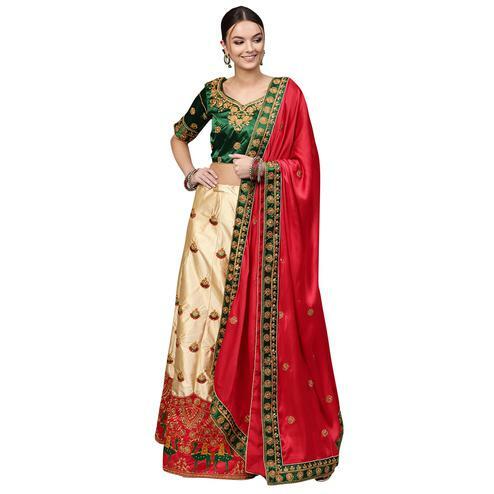 If you are looking for the latest satin silk lehenga choli online that has all the nuances of art and vogue, Peachmode is the site for you. 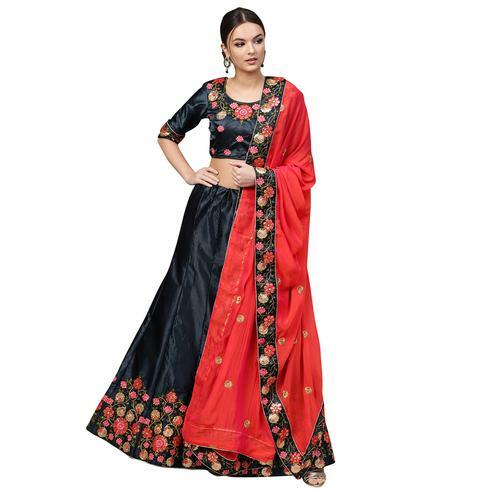 All these attires come along with chiffon dupatta, netted dupatta or embroidered dupatta. 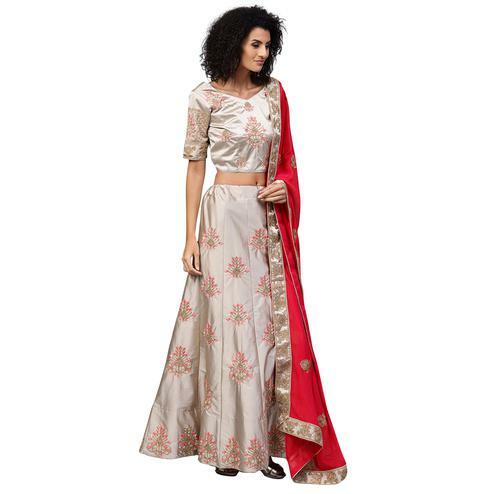 We also have cholis in brocade to impart a full heavy look to the ensemble. 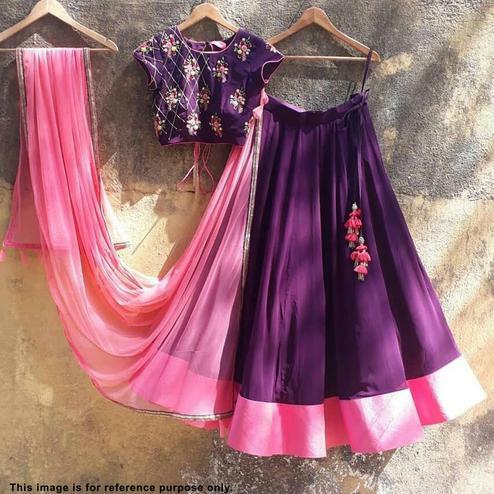 The satin lehengas at Peachmode come in attractive color options of yellow, pink, purple, grey, navy blue, pastel, aqua blue, black, orange, green, cream, beige, red, peach, brown, multicolor and many more. 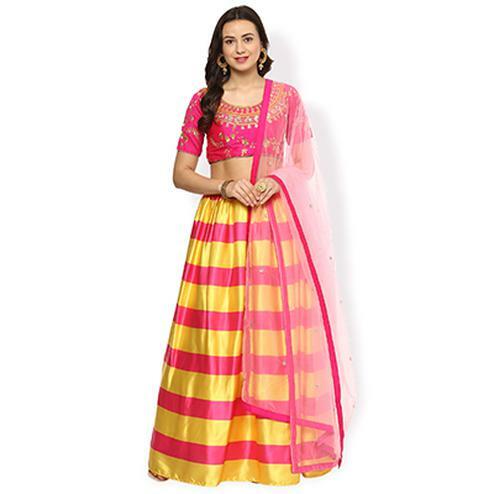 Do try our pink satin lehenga – it is pure innocent beauty. You can also go for our modernistic plain ones if you like to keep things subtle. 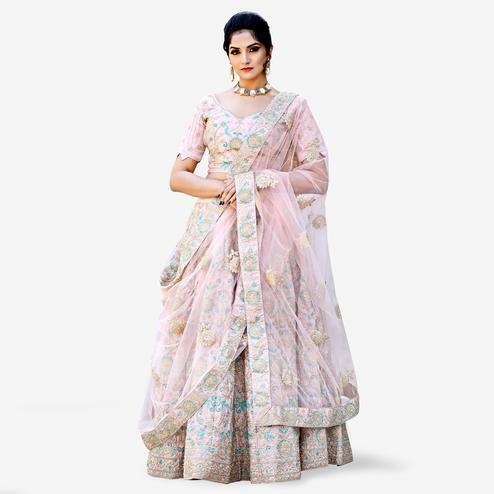 So without further delay, get clicking and shopping on Peachmode where you get the most stylish traditionals online!